According to Wikipedia, a ceilometer is a device that uses a laser or other light source to determine the height of a cloud base. 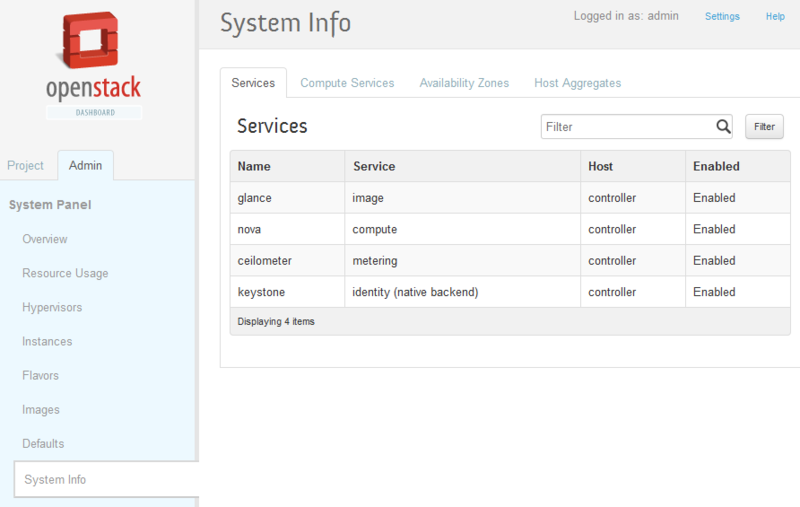 And it is also the name of the framework for monitoring and metering OpenStack. It collects measurements within OpenStack so that no two agents would need to be written to collect the same data. Ceilometer collects metering data (CPU, network costs) that can be used for billing purposes with Openstack. Because it requires a lot of writes, the preferred database is MongoDB. Although there are drivers for other database backends, the storage driver for MongoDB is considered feature-complete at this time and therefore recommended for production usage. In this post we are going to show you how to deploy a minimal MongoDB replica set (two MongoDB instances) and install Ceilometer services on OpenStack’s controller and compute nodes. 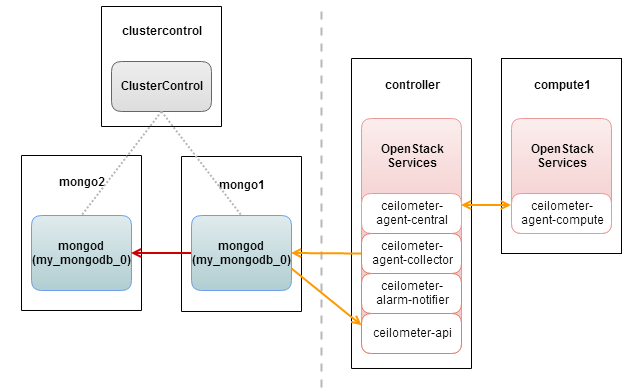 This example assumes that we already have an OpenStack controller and a compute node running on Ubuntu Precise with three additional nodes specifically for MongoDB and ClusterControl. The database platform is ready and we can now proceed to install Ceilometer services. $ keystone service-create --name=ceilometer --type=metering --description="Ceilometer Metering Service"
As your OpenStack infrastructure expands, expect metering collections and your MongoDB dataset to grow. You should then look into moving your Replica Set to a Sharded Cluster topology. There are several ways to achieve this, either convert the Replica Set to a Sharded Cluster or manually export the data set to a new MongoDB Sharded Cluster. 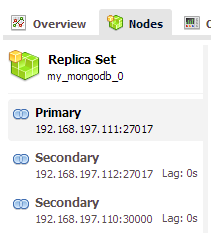 You can easily deploy a Sharded Cluster using the MongoDB Configurator.